Described by Richard Sherwin of New York Law School as the law and film movement's 'founding text', this text is a second, heavily revised and improved edition of the original Film and the Law (Cavendish Publishing, 2001). 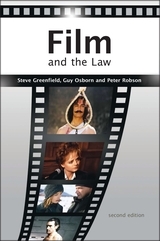 The book is distinctive in a number of ways: it is unique as a sustained book-length exposition on law and film by law scholars; it is distinctive within law and film scholarship in its attempt to plot the parameters of a distinctive genre of law films; its examination of law in film as place and space offers a new way out of the law film genre problem, and also offers an examination of representations of an aspect of legal practice, and legal institutions, that have not been addressed by other scholars. 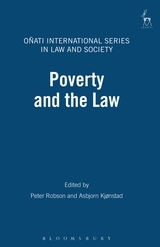 It is original in its contribution to work within the wider parameters of law and popular culture and offers a sustained challenge to traditional legal scholarship, amply demonstrating the practical and the pedagogic, as well as the moral and political significance of popular cultural representations of law. The book is a valuable teaching and learning resource, and is the first in the field to serve as a basic guidebook for students of law and film. 11. 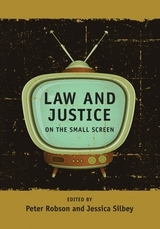 Fact, Fiction and the Cinema of Justice (I): Presumed Accurate? The Woman Lawyer as a Discreet Object of Desire? Rebecka Martinsson: An Alternative Role for Women Lawyers? 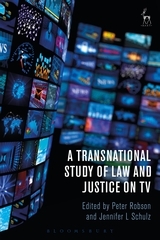 “The book ... cements its place as the cornerstone text for film and the law, and retains the easy and relaxed tone that one associated with the earlier edition ensuring that it is very readable among a diverse audience. [An] excellent text, which thanks to this updated and revised edition remains a foundational text for the study of film and the law. Steve Greenfield is a senior academic in law at the University of Westminster. Guy Osborn is Professor of Law at the University of Westminster and Professor (II) in the Department of Sociology and Political Science at the Norwegian University of Science and Technology in Trondheim, Norway.